Market-leaders, Farsight Security Services, deliver national event-driven CCTV from a central alarm response centre and monitoring station. Operators monitor thousands of sites in the UK, 24 hours a day. This data-critical work needed a resilient platform for the recording of tickets and remote incidents triggering alarm calls to their control room. We worked closely with Farsight to create a unique software platform and full-service business system for administrators, operators, installers and end-customers. This project is a prime example of advanced UX design, Cloud software and real-time technologies. Our collaborative planning and deep discovery sessions delivered sharply-defined user stories and innovative solutions. Wireframing and creation of prototype applications, to prove our solution, led into enterprise system design using Symfony and AngularJS. We went on to design a new responsive marketing website, using the WordPress CMS, and extended the transformed branding to the business system design. 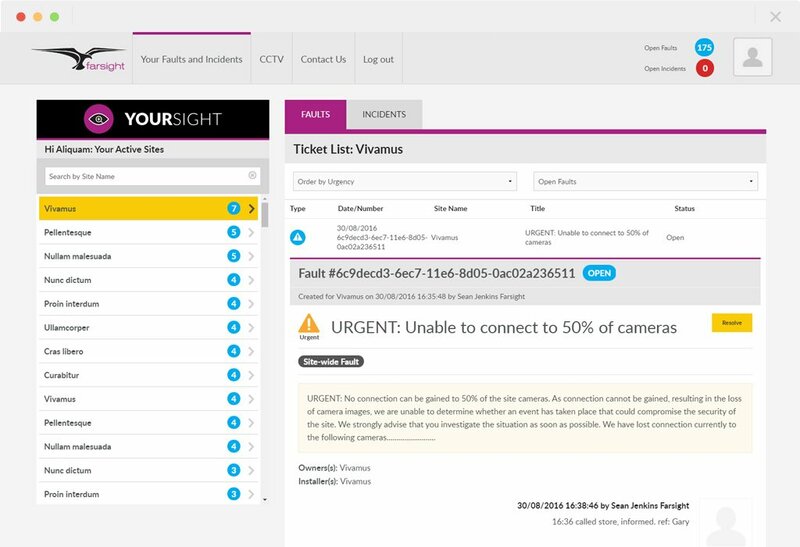 Advanced UX design ensures Farsight system operators can work quickly and efficiently, mapping hundreds of alarm-event tickets against hundreds of national sites during every shift. 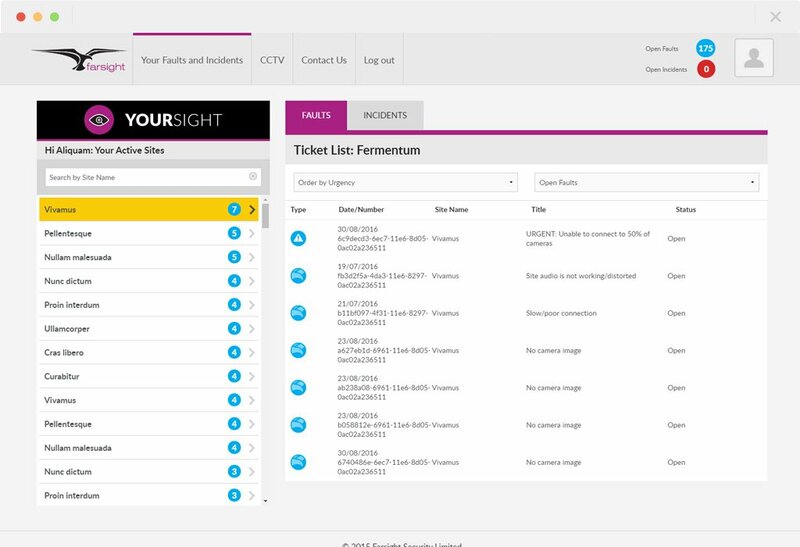 In-house security teams, remote service engineers and CCTV customers can access a fully responsive data portal on any device, for the first time in Farsight’s history. Our bespoke solution keeps this business workflow moving, so every alarm call is answered. We harnessed a hybrid of established technologies to implement game-changing database design and backend admin tools. 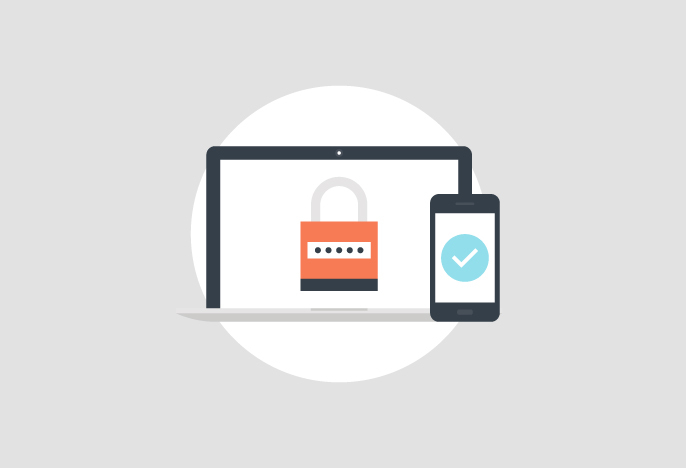 Third-party APIs activated SMS messaging, email reminders and real-time alerts that our client’s success depends upon. Our team delivered a wholesale transformation of Farsight’s communication technology. 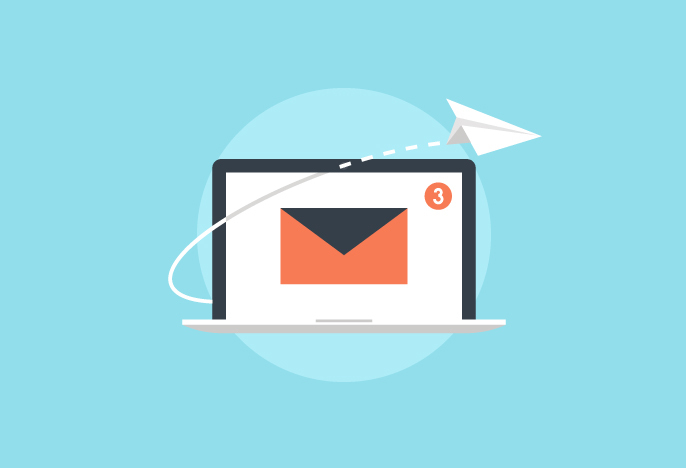 We implemented a major, custom-built support console for the centralised management of email, bringing process transparency and accountability to a complex legacy workflow. Significantly improved efficiency in task delegation and email archiving were major outcomes of this development thread. 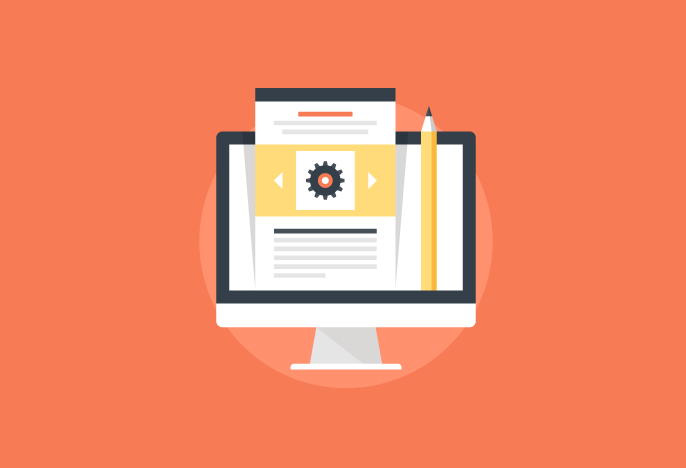 Want to find out about business system development?